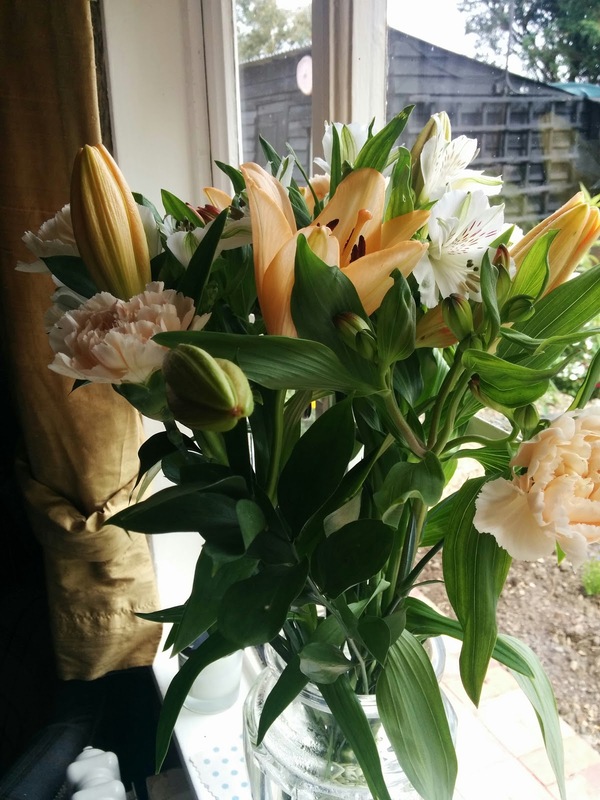 Is there anything cheerier than a beautiful bouquet of flowers to brighten up a room? Didn’t think so! So when Bloom & Wild offered to send me a bouquet of their gorgeous flowers I couldn’t say no. 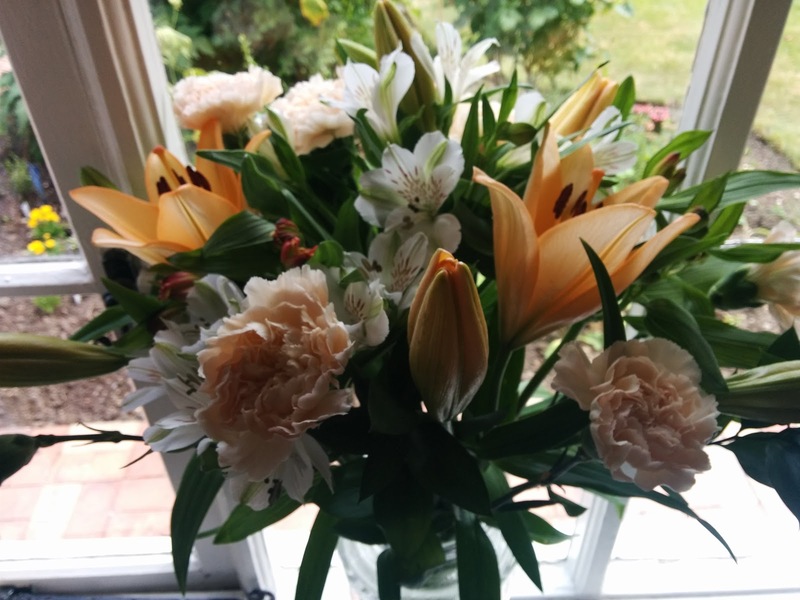 Their beautiful flowers fit perfectly through your letter box – which was great as I happened to be out when these were delivered, and made the perfect treat to come home to. Inside the box each individual flower is delicately and perfectly wrapped, meaning that even though they’ve been through the postal system, they arrive in perfect condition. You also receive a sachet of flower food, a little card telling you all about your flowers and how to keep them alive. And the packing is just as beautiful as the flowers themselves, don’t you think? Even though my parents are avid gardeners, I can barely tell the difference between a rose and a lily (okay, not that bad but you get the point) so I really appreciated the card naming all the different flowers. 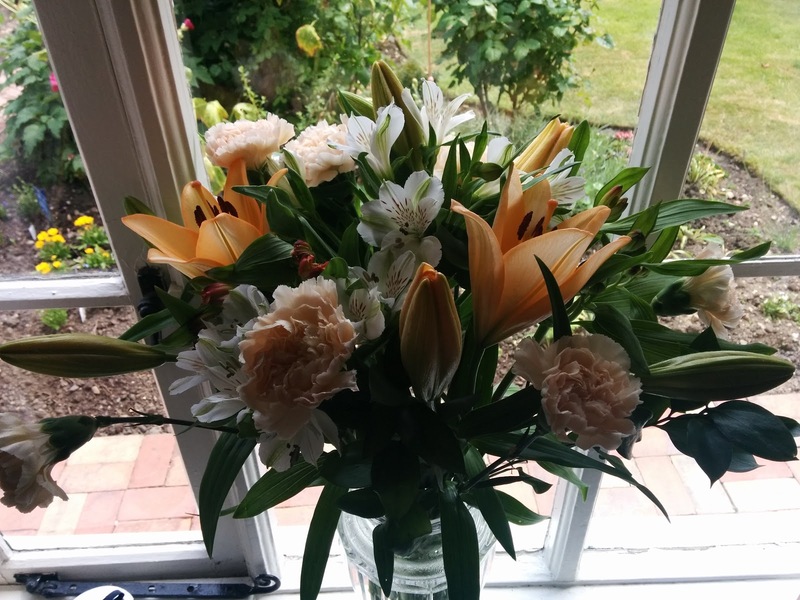 I set up the arrangement as per the instructions and was delighted with how well arranged the bouquet was. It really did look fantastic if I do say so myself! I borrowed one of mum’s lovely vases for the occasion and popped them in the sitting room for all to admire (and admire they did). These beauties have been cheering up the house for two weeks now and they’re till going! …look how amazing the colours are! They’re perhaps coming to the end of their beauty, but I don’t remember the last time that a bouquet of flowers lasted so long. I’ll be working with Bloom & Wild again soon so keep your eyes peeled for more!